Natural pink Topaz, called Imperial Topaz, is quite rare. Although not disclosed, these brilliant little stones must have been treated to turn them pink. They are also coated so they flash unusual hints of pear along with the pink. Topaz reminds us of Aaron's breastplate where it is said to be in the first row. However scholars think the translation reflects a misunderstanding and the breastplate stone was more likely Peridot or Chrysolite since Topaz was hardly known in Biblical times and the word translated 'topaz' may actually have been the name of an island where Chrysolite is abundant. Kunz quotes Andreas, bishop of Caesarea (6th-7th century) who associated "ruddy" Topaz with St. Matthew through a rather convoluted argument involving the purported ability of Topaz to cure certain eye problems and the Gospel of Matthew which enlightens those whose hearts are blinded. I'd like to read the bishop to determine why he chose Matthew and not Mark, Luke or John. The association of Topaz with the eye continues in Judy Hall's work and several references cite Hildegard von Bingen's use of the stone to cure failing eyesight. (Incidentally, you may want to click through on the CD of Hildegard's music shown below and listen to samples if you've never heard it. The vocal performances are stunning, though they might not have had quite so much drumming in Hildegard's time!) Melody offers an interesting contrast with Quartz insofar as she says the terminations of Topaz crystals and the facets of faceted Topaz provide both positive and negative currents and that this influences manifestation. In excerpts from Edgar Cayce readings (see below), Topaz is listed as a stone for mind and body, in particular for physical strength. (The Cayce readings were given to specific individuals and may or may not be generally applicable.) According to D.J. Conway, Pliny also called it the "stone of strength." 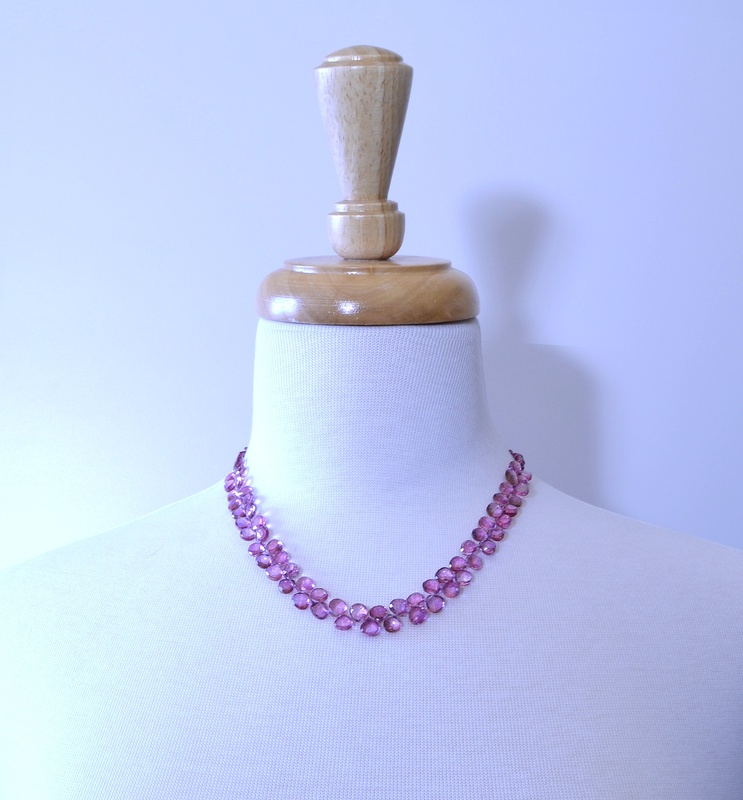 Conway says pink Topaz encourages integrity and honesty. 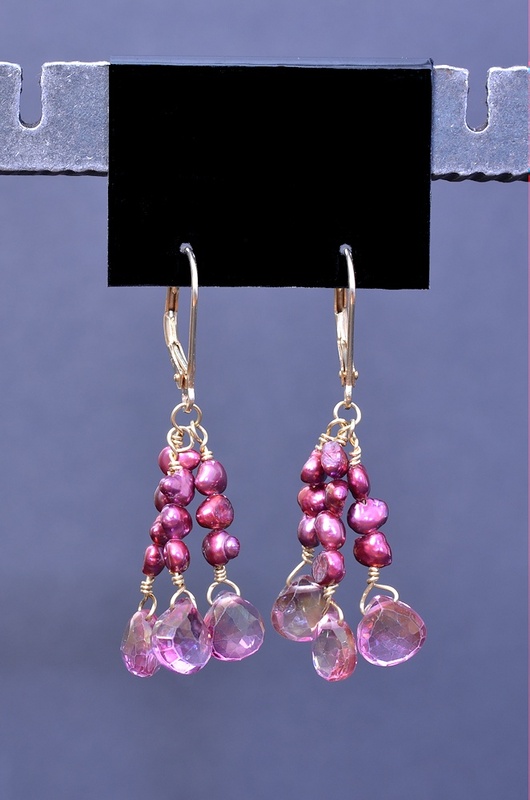 Doreen Virtue says pink Topaz amplifies one's ability to love unconditionally. We could go on and on trying to discover traditional wisdom about Topaz. It would be nice though if you would please order this pretty set and test out these curious ideas for yourself. 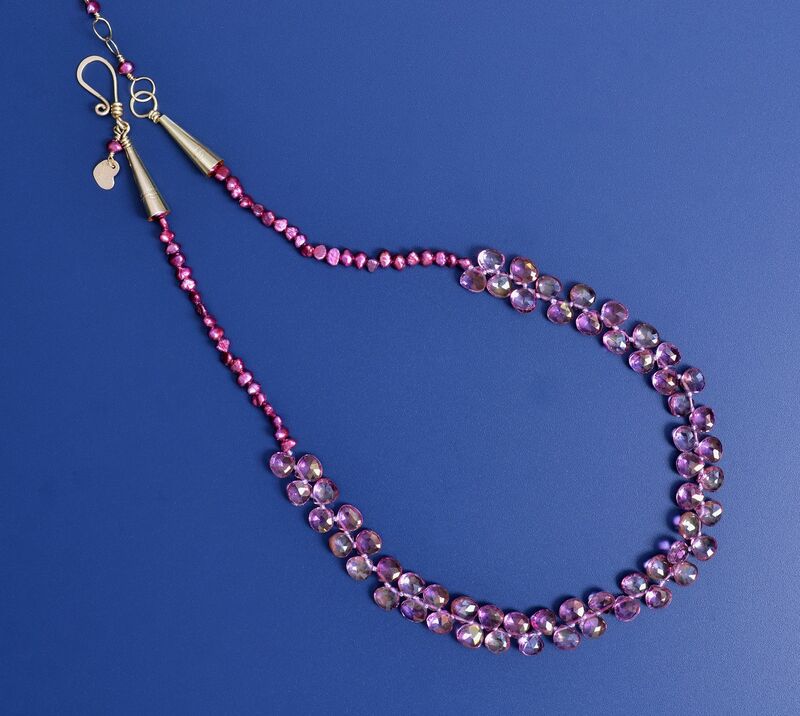 Oh, and while you're doing your research, you will undoubtedly receive many compliments for your beautiful necklace and earrings!